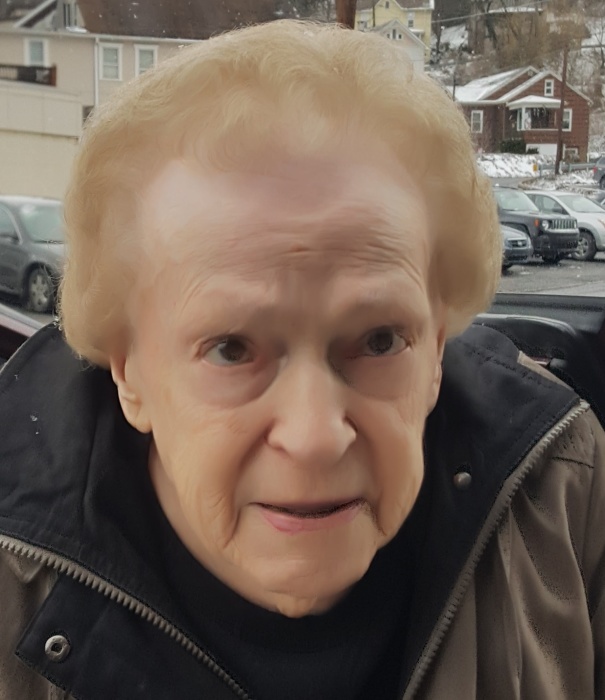 Youchak, Virginia A., "Jean", 89 years young, lived in Moxham neighborhood the majority of her entire life until her peaceful passing on June 21, 2018. Jean had an extended life due to the love and support from family, friends, caregiver Patty Popolo, and physical trainer, John Christian. She was born July 19, 1928, in Windber, Mine 37, daughter of John and Antonia (Cebula) Konieczny. Preceded in death by parents, beloved husband, Michael J. Youchak, Johnstown. Survived by loving sons: Thomas Youchak, Palm Beach, FL; Gregory Youchak and his wife, Blanca, Pittsburgh; and Michael T. Youchak, Pittsburgh; grandchildren; Brian and Paul Youchak. Also survived by sisters, Helen Smulski, Pittsburgh; Stella Varrnecky and Theresa Dluhos, of Johnstown. Jean worked in the cafeteria at East Side Elementary School for 34 years. Member of St. Patrick Church and PNA. She played cards in various Pinochle Clubs for most of her adult life. Friends will be received Sunday, 2 to 5 pm at the Moskal & Kennedy Colonial Funeral Home, Ohio Street and Highland Avenue, Johnstown, PA. Funeral mass will be held 10 a.m. Monday at St. Patrick Church, Fr. Walter Moll, celebrant. Committal, Grandview Cemetery. Family requests memorial donations be made to St. Patrick Church.